The Wednesday Call Live (TWC) for August 7, 2013: This file is an audio recording of Andy's Live Show. If you would like to access the video version, check out the NAAtv Live Archives! The Live Show will air again on August 14, 2013 at 12:30 PM ET. 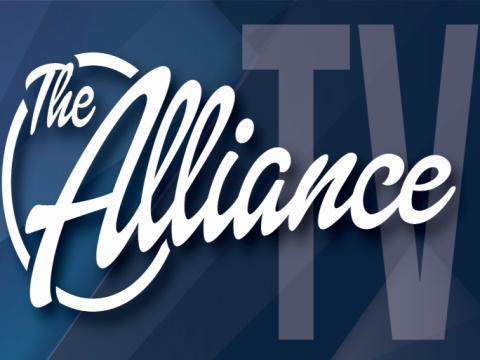 The Wednesday Call Live (TWC) for August 7, 2013: Andy Albright is coming at you live from National Agents Alliance Headquarters in Burlington, NC! Training, team building, and surprise visits from top agency managers are all common themes for Andy's live show. National Agents Alliance War Parties are coming September 9-11. These are free meetings, so be sure to find a city in your area to attend! Remember, as Andy says, "Showing up is part of the battle." In today's show, Andy announces the new book of the month, a new Instagram contest, and gives out recognition to the top producers and managers within The Alliance. The main focus of the call today was making a commitment to a better life. Are your words and actions lining up? Are you committed? It only takes a few committed people to start moving toward a goal and then people will match Follow their lead. You don't say it; you show it, demonstrate it and live it. Those commitments are tested everyday and we have to choose to do the right things. Distractions mess people up. They are not just negative distractions, but also good distractions. If you can delay those you can have the life you dream of. What does your freedom cost? You find that out and you can push for long-term life you want! If you can exercise delayed gratification then opportunities will come your way. Commitments are made because of deep convictions. You have to have a cause you believe in. You have to want something to get it. America was born on commitment and NAA was built with commitment. We all have to commit to our goals for the next 90 days, you have no idea how much lives will change for the better. What are your intentions? That's really your goal. Are you moving in that direction? Is it clear to you? People don't commit to positions or titles. They commit to courage and to people who are committed. Speaking it is the first step. Speak it. Next thing you know, you are committed. Then, you start seeing results. Are you committed? Can you say it? Can you do it for a day, a week, a month??? Get Decided and get determined. Help each other, we are on the same team. You can't get from one end of a field with the ball as fast by yourself as you can when you let the team help you. You pass, they pass, we all don't score but we all WIN! Get committed! The Wednesday Call Live (TWC) for July 17, 2013: This file is an audio recording of Andy's Live Show. If you would like to access the video version, check out the NAAtv Live Archives!